A special thank you to the Nebraska Extension team who shared during today’s hail damage meetings! They were well attended with nearly 120 participants between the two locations. Hopefully the information was of help as you talk with your crop insurance adjuster and know what to expect going forward. Below are the resources we provided and additional items including presentations that were discussed. Contact information for the speakers is listed at the bottom of this post. We will continue to add resources to this page if you’d like to check back. Thanks! Corn at Beginning Dent needs 5” of water; ¼ milk = 3.75”; ½ milk (Full dent) = 2.25”; ¾ milk = 1”. Soybean at beginning seed (R5) = 6.5”; R6 full seed = 3.5”; leaves beginning to yellow = 1.9”. If anyone is taking hail damaged corn for silage, Dr. Mary Drewnoski is interested in samples prior to and after ensiling and is willing to help with sample analysis cost. Even if silage has already occurred, we’d be interested in samples after ensiling. Please contact her if interested (contact info. at bottom of this post). The three links below are the ones that answer specific questions. 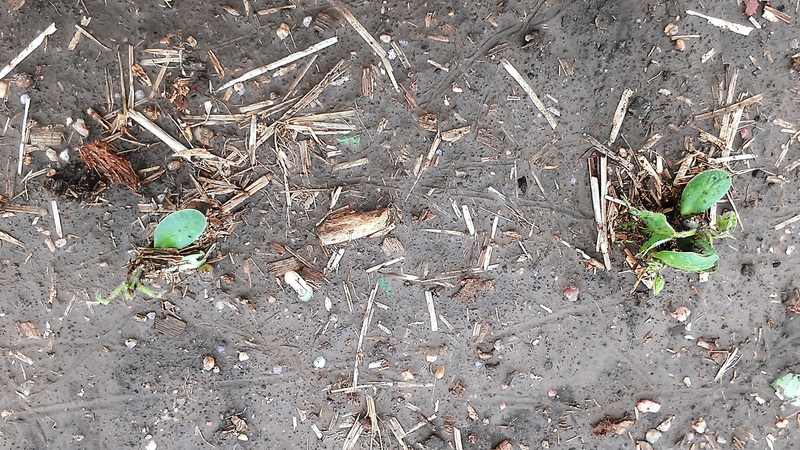 The first article answers a few questions regarding forage considerations for hail-damaged corn and soybean. The over-riding decisions will be based on planting date. Sudangrass or sorghum x sudangrass crosses and millets are still appropriate until August 15, although seed supplies of these are dwindling. After that, we are looking at oats/turnips. Drilling these directly into the stubble is the best option for planting. There was also a great discussion regarding earlage and we need to create an article regarding that topic. 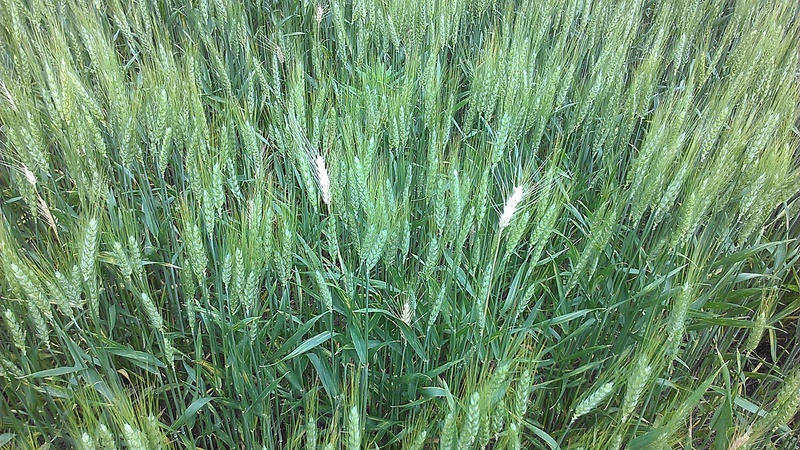 Diplodia ear rot is perhaps the most common with these types of storms. Good news, Diplodia does not have a mycotoxin associated with it. Bad news is this fungus explodes on an ear creating light-weight ears and explodes in grain bins. 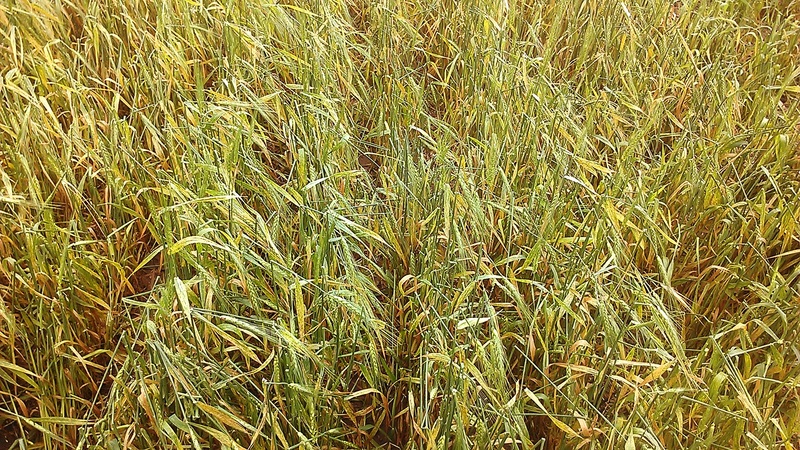 It will be wise to assess which fields/portions of fields are affected the worst with mold. Consider not storing any of that grain as it will be difficult to manage and keep from getting worse in storage. You will also need to assess which fields have increased risk of stalk rot by using the pinch test (Use your thumb and first finger to pinch the stalk internode above the soil line. 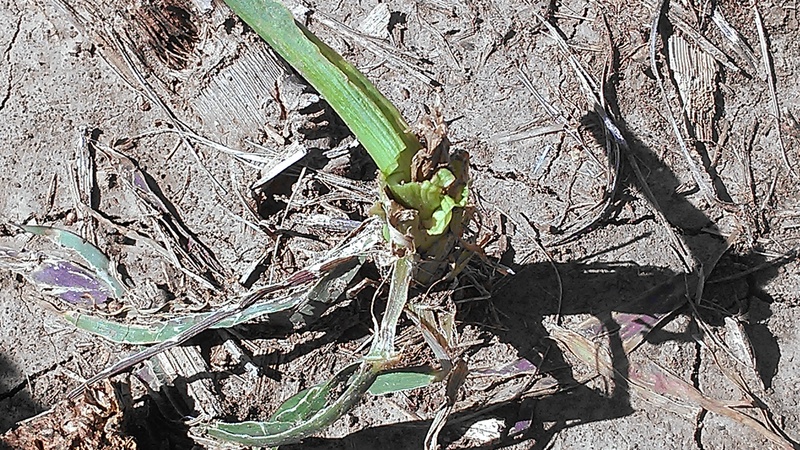 If it easily crushes, the plant has stalk rot). 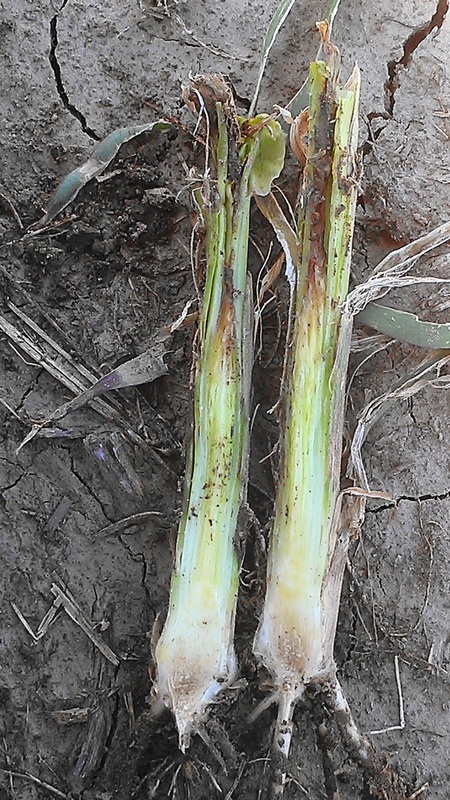 Consider harvesting those portions of fields or fields most affected by stalk rot first. Every field situation may vary. If you have hail insurance, the insurance adjuster should evaluate ear damage in addition to percent defoliation and stalk breakage. Ask your insurance adjuster how they assess grain quality damage. Do they go by the COOP results for mold/mycotoxin/dockage? Do they require the insurance agent to come out and take a sample for mold/mycotoxin? Do they require you to call them before you put grain into your bin? (This is especially the case if aflatoxin may be of concern. We don’t anticipate that being a problem with this storm damage. However, if they require a sample for mold/mycotoxin in general, they may ask you to call them to take a sample before the grain gets put into a bin). If you do have presence of mold and/or mycotoxin, it’s best to have it documented before the grain goes into the bin. If the grain gets out of quality and the mold and/or mycotoxin increases in your bin by spring, if it wasn’t documented at harvest, you may not get compensated. Hail and wind damage occurred throughout the area I serve last week. Overall, I’ve been encouraged by the regrowth observed on corn and soybean plants affected by the June 14th storm. 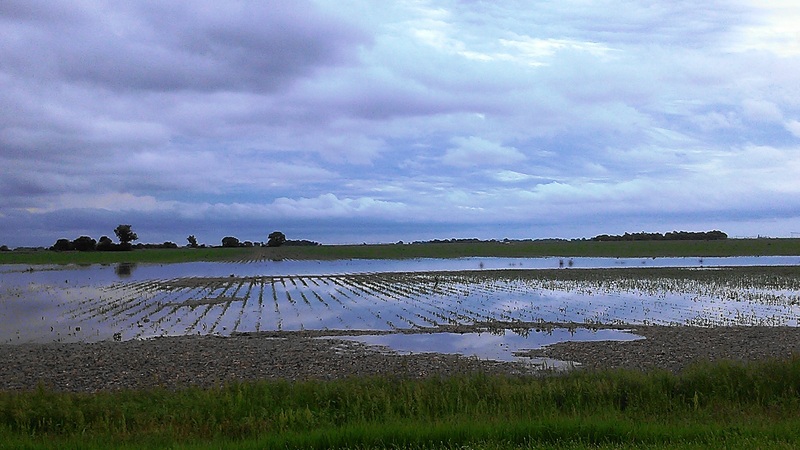 We were blessed with warmer weather and sunshine that allowed for regrowth to occur in many situations other than some fields around the Deweese area. You can look for regrowth on leaves within the whorl of corn plants and on the axillary buds of soybeans. Even what appeared to be soybean ‘sticks’ may show regrowth by now. The concerns I have for plants affected by these storms is all the stem bruising on both corn and soybeans and the potential for bacterial diseases to affect corn. 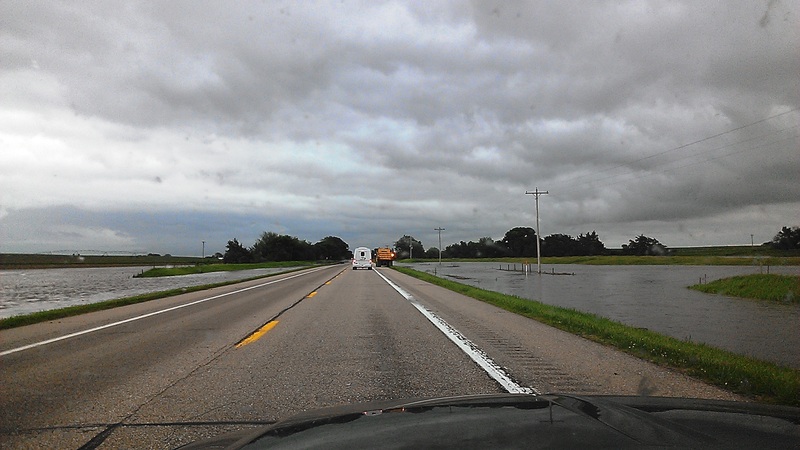 For those of you affected by June 16th storms, we recommend to wait a week to assess damage and any decisions. I realize we’re also at a critical stage for replant decisions as we continue later in the season. Ultimately, decisions need to be made on a field by field basis. There’s no good research to Dr. Tamra Jackson-Ziems or my knowledge to support this. Fungicides only control fungal diseases. Bacterial diseases are favored after hail events and we have already seen bacterial leaf streak in the area prior to the storm. From past-years’ experience of prior wind/rain events, we can expect to see more of it in about a week. Fungicides won’t help that disease nor Goss’s wilt which is another we often see come in after hail events. However, if you’re considering this, I’d like to have several farmers prove it to yourselves with on-farm research this year so we do have data for the future. It’s this simple. All you do is spray fungicide in enough width to complete 2 combine passes. Then skip an area for 2 combine passes. Then treat again and repeat across the field. Fungicide Protocol for Hailed Corn and Soybean. Please let me know if you’re interested in this! Timing of fungicide app: ISU did a study to simulate hail damaged corn at tassel stage within an average of 3 or 8 days post-hail. They didn’t find the timing to provide any yield effects. They also didn’t find a statistical yield increase (90% confidence level) in fungicide application to hail damaged plants vs those which weren’t hailed although they also reported a numerical increase in 12 of the 20 fields. Herbicide application: I spoke with Dr. Amit Jhala, Extension Weed Specialist for his thoughts regarding this. He said ultimately herbicides shouldn’t be applied to stressed weeds in order to achieve greatest efficacy. 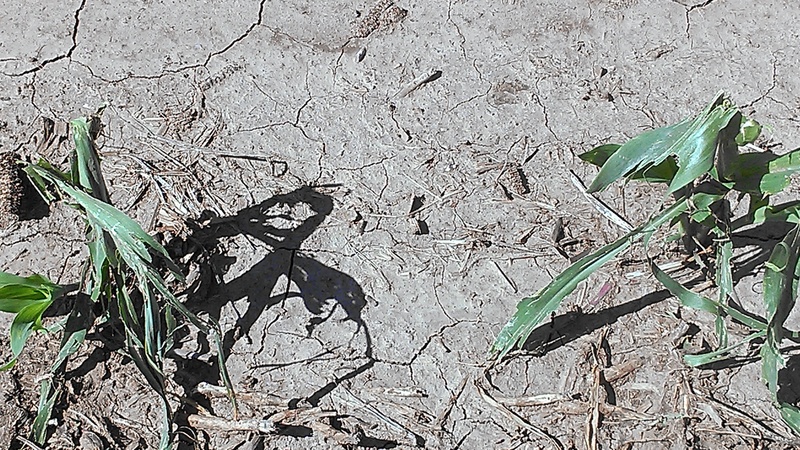 The concern for many including me right now is how well the weeds survived the hail and how quickly they are regrowing compared to the damaged corn and soybeans. This again is a field by field assessment regarding how well your corn and soybean regrowth is occurring and how rapidly your weeds are. I watched one palmer plant in one field after June 14 storm: 1 day post hail and 2 days post hail put on two sets of leaves in that time period. I also took pictures of soybeans reduced to sticks while waterhemp in that field was virtually untouched. 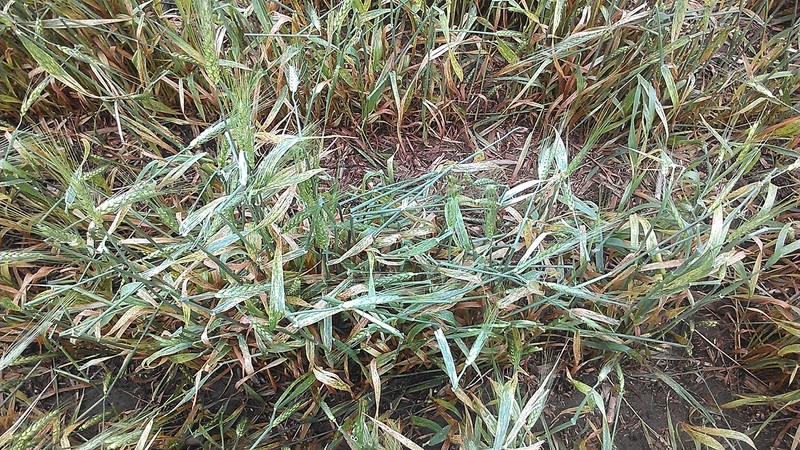 I think many are trying to wait 5-7 days post-hail to apply herbicides but there were some fields I was suggesting to apply over the weekend with the recovery already occurring and less damage. Corn replant: The biggest concerns with corn would be stands, eventual stalk rot/downed corn due to stalk bruising, and bacterial diseases. 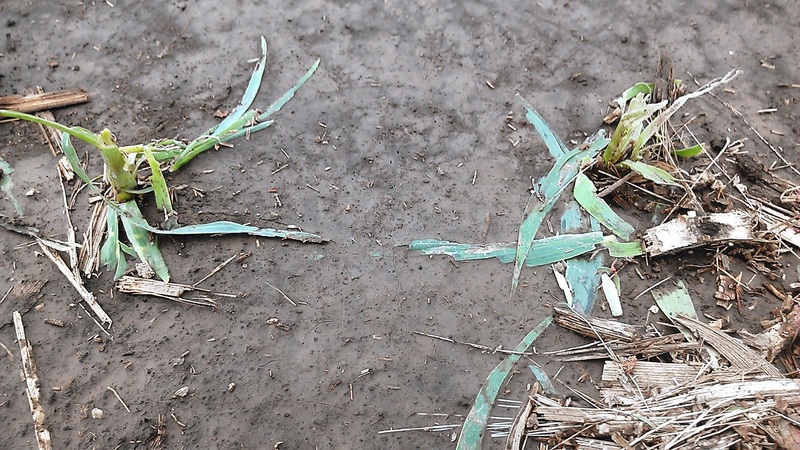 I’ve essentially watched stands reduced over the course of the growing season after early-season hail storms mostly due to bacterial diseases like Goss’ wilt. It will be important to have your crop insurance adjuster look at the field again prior to harvest. Splitting the stems of damaged plants across the field can help you assess any damage to growing points; they should be white/yellow and firm not brown and soft. Tattered leaves that are wrapped around the whorl should eventually turn brown and break off with the wind. They can sometimes impede new growth from the whorl as well though. Soybean replant: Soybeans can compensate so greatly for reduced stands. From hail at this stage in the past, we’ve said to leave stands of non-irrigated at 60,000 plants per acre and irrigated at 75,000 plants per acre. Some soybeans reduced to sticks are shooting axillary buds. 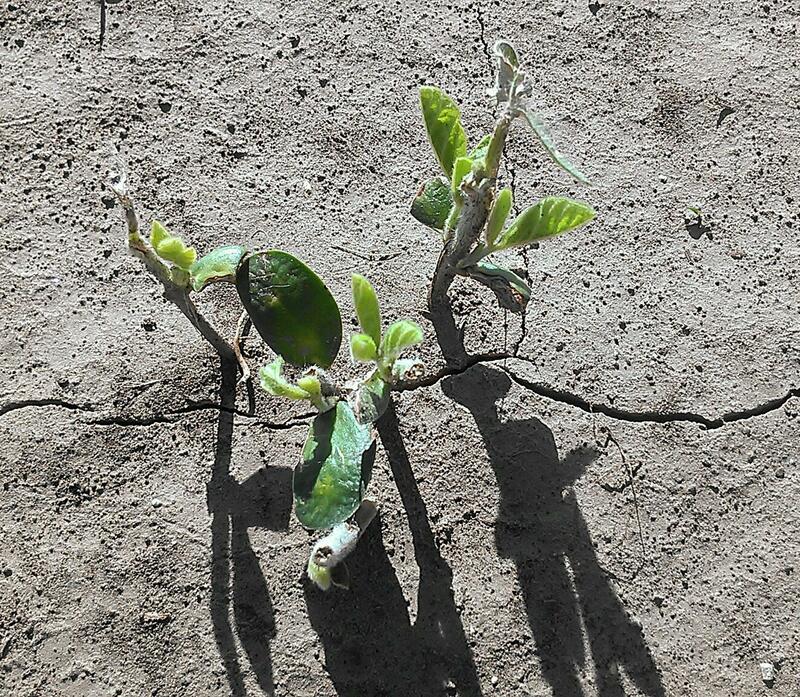 My biggest concern on soybeans is the stem bruising which isn’t accounted for in hail adjustments. If you want to prove replanting or not to yourself, consider slicing in soybeans next to the old row in strips across your field. Be sure to inoculate the soybeans and be sure to take prior stand counts. Soybean Replant Protocol. There’s nothing like doing these studies and seeing the results on your own ground or from your peers’ farms. In 2006, I worked with a grower in the Lawrence, NE area on a non-irrigated soybean plant population study where he tested seeding rates of 100K, 130K, and 160K seeds/acre. He received hail at the cotyledon stage and because he was non-irrigated, chose to leave the stand. His actual stand counts were 74.4K, 89.4K, and 97.9K plants/acre respectively for the previous mentioned seeding rates which resulted in yields of 38.6, 40.6, 42.7 bu/ac respectively. Another soybean replant study occurred near Columbus, NE where the grower had an average plant stand of 75,000 plants per acre on June 11th. 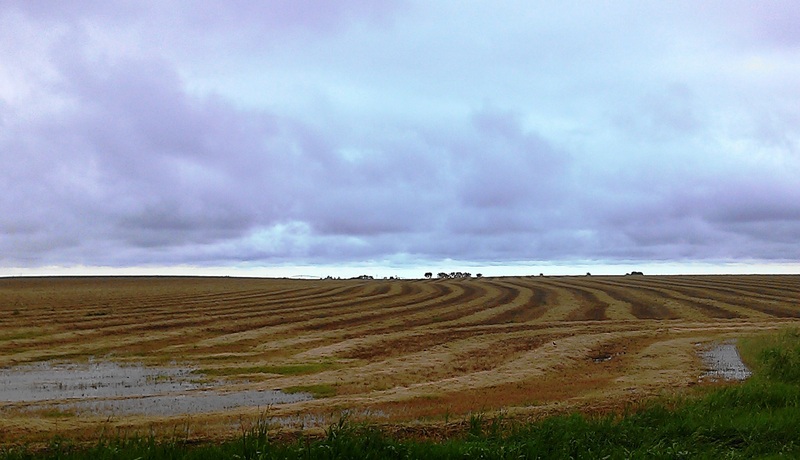 He chose to replant five strips across the field at a diagonal to the existing rows. The replanted soybeans ended up yielding 1 bu/ac less than the original plant stand. I realize it’s hard to want to do these extra steps for on-farm research, but this is why it’s important; it’s the way to answer these questions for yourself! Please contact one of our team members if you’re interested in on-farm research this year!